"Who says I can't be free from all the things that I used to be? Rewrite my history, who says I can't be free." I look at this picture often because it serves as a reminder of who I used to be and who I don't want to be anymore. I didn't love myself fully and covered up my body with layers, shrugs and long tops. I wore baggy pants, including jeans! I wore two sizes larger than my true size so I was grabbing those 30/32's out of habit and not even caring how baggy my clothes were. So the red floral top seen above is something I would wear now but I would get it in a smaller size and belt it. Perhaps wear a cami or bra underneath. My, how times have changed! Ten years later, sometimes I am so shocked at my own transformation. When many talk of their transformation, it involves weight loss. However, I haven't lost any substantial weight aside from maybe 25 pounds or so. And that only came off because I stopped drinking soda and eating take-out on a daily basis because my health depended on those changes. I know that it's hard for some to understand how I can be fat and happy but I am proof that it is possible. A lot of it has to do with how you feel about yourself and how you let what others say/think affect how you feel about yourself. It's not rocket science and some have made a lot of money speaking to people about this but I'm going to give you my perspective for free. 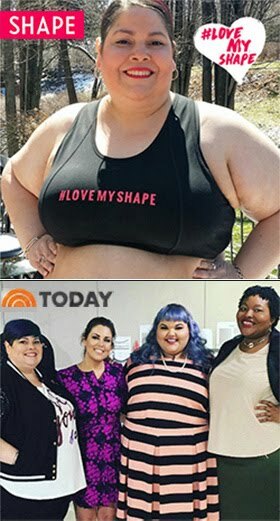 The diet industry makes millions off of making people feel bad about themselves and convincing them that happiness and weight loss go hand in hand. I'm not saying weight loss is bad. I'm saying dieting is bad. They are two different things. You can lose weight by changing your eating habits for the better because you want to be healthier. However, going on a diet and not a lifestyle change is entirely different. Also, your reasons for going down that path mean a lot as well. If you're looking for happiness to come when you lose weight, it will... BUT it will be shortlived if you never worked on truly loving yourself unconditionally... unless you work on yourself and how you feel about yourself. You will never be satisfied and will be forever obsessed with keeping that weight off. And you don't have to lose weight to work on yourself on the inside. You can start to heal and love yourself at any size and that healing is imperative to being the best person you can be, AT ANY SIZE. It's your body and you do what you see fit with it and if it's weight loss, I am not judging you. I'm only speaking of the Why's and encouraging you to look within yourself and be honest with yourself. Life is lived fully when you are present and enjoying the now. If you don't, you will miss out on time you can't get back. Missed opportunities can mean missed moments of happiness. This I learned the hard way. Is it tough for me to shop as a size 26/28? Hell yes! But will I lose weight to be a smaller size just so I can have more clothing available to me? Um, hell no! 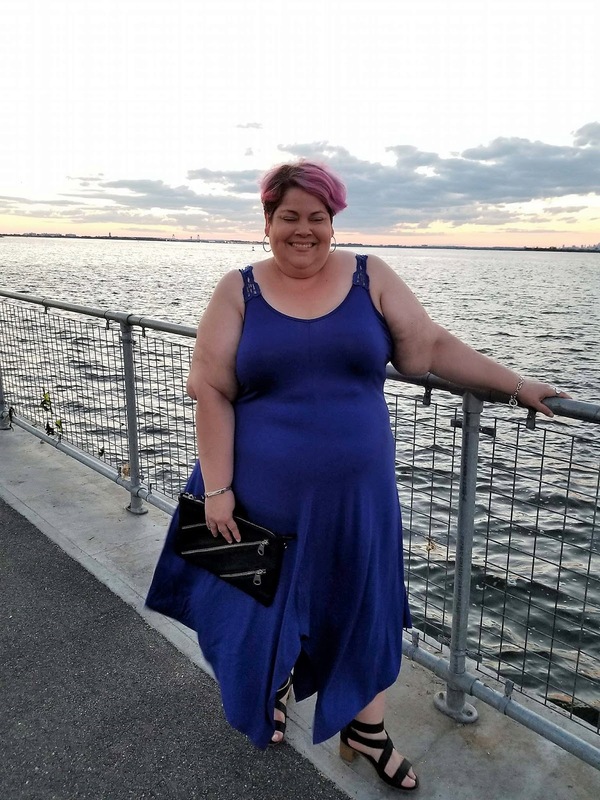 Why should I lose weight to cater to an industry that makes money off of making us feel like we have to fit a certain ideal to look stylish or beautiful? I think everyone is worthy of accessible fashion because we all need clothes. Last time I checked, it's illegal to walk around naked on the streets of New York. And why should I wait to dress fabulously and feel good about myself? I don't want to sit around waiting until I'm a certain weight to dress fly. I have my workarounds and have done my research. 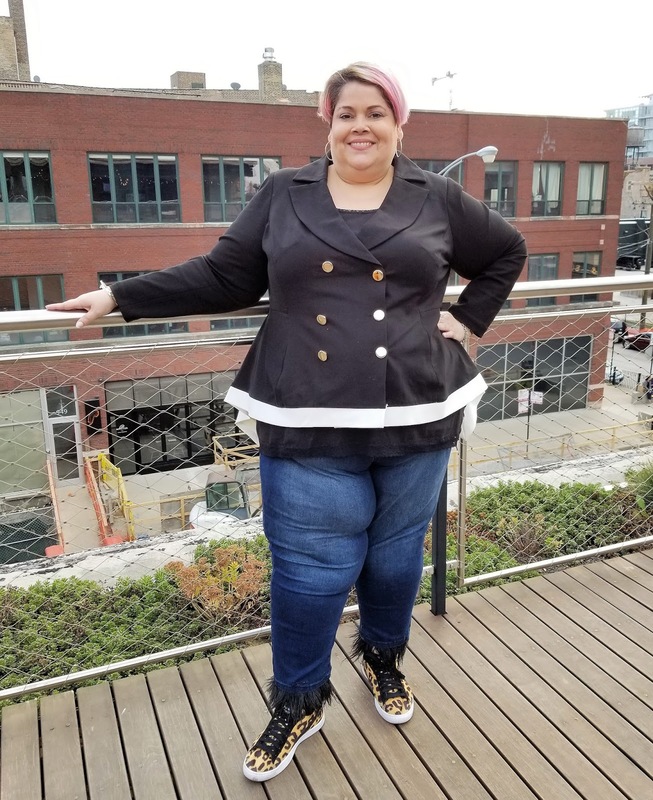 There's great brands for me to shop like Universal Standard, Gwynnie Bee, Avenue, Lane Bryant, Premme, Eloquii, eShakti and indie designers like Christian Omeshun, Ashley Nell Tipton and 2 B Continued Denim. 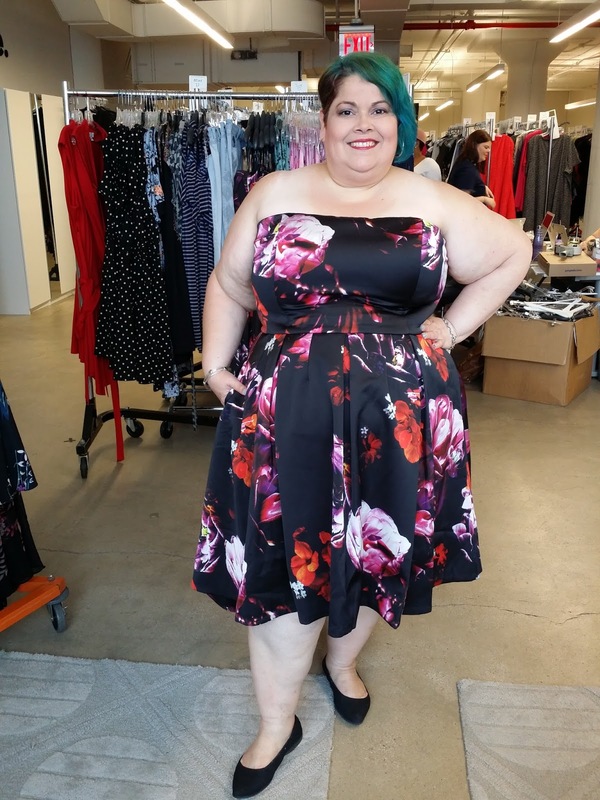 I'm also finding new brands every day like Curve Girl and Curvy Sense, that offer above a size 24. Hell, ASOS even offers up to a 28 now and Ashley Stewart offers up to a size 34/36 in some styles. It's a challenge to shop but it is possible. It just means that while I can't shop at Forever 21, Boohoo, Missguided or NY & Company, I can access designer pieces and get customized clothing made for me. I shop on a budget so I usually treat myself to one core piece a season that will last me for years. I also want to learn how to sew. To me, those are more positive steps for me to take than stressing myself to diet to be able to shop in more stores. I'm trying to love myself more and more daily and not succumb to what others say I should be. Am I glorifying obesity? No. I am glorifying self love and self care. 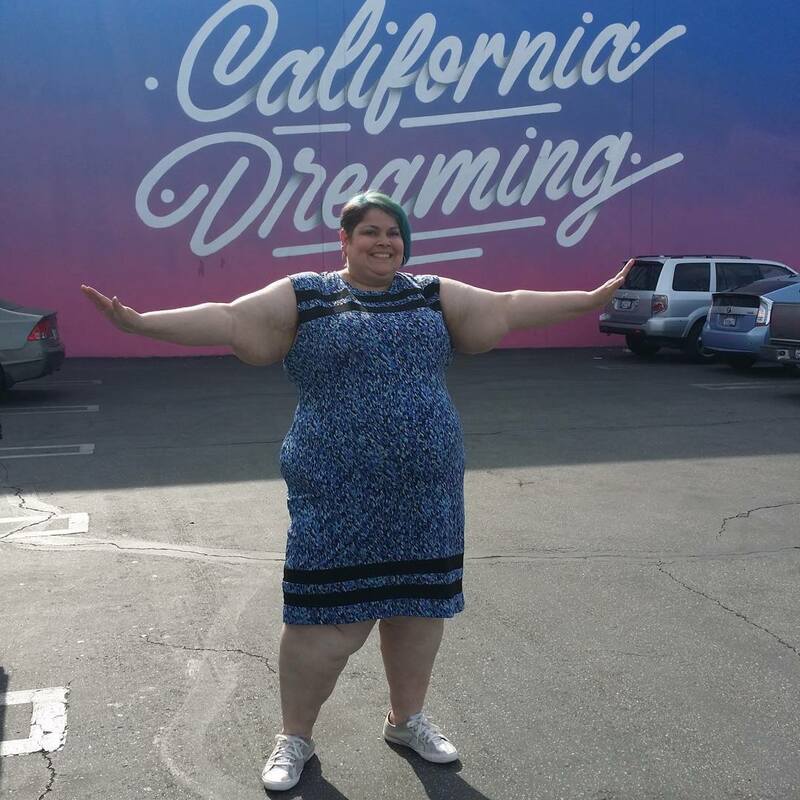 Who made the rule that you can't love yourself over a certain size? Who says beauty only comes in size THIN? I would love to know who came up with all these restrictions on who I should be and how I should feel. Self means ME. So I should be able to make my own decision on how I (ME) feel about MYSELF. Actually, once I started dressing more stylish and wearing my actual size, I felt better about myself. And this led me to want to take better care of myself. This led me to stop drinking soda and walking more. This led me to traveling more and being more positive towards life. 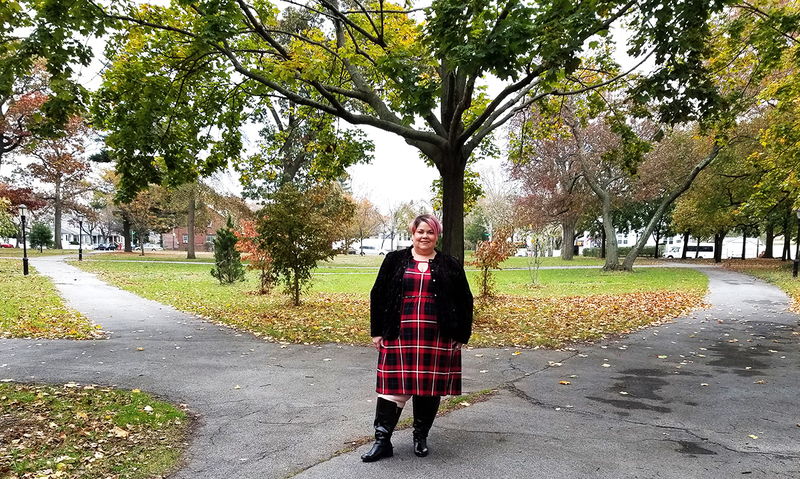 If anything, having access to clothing in my size is not keeping me fat... it's actually helping me heal and love myself more, which in turn is motivating me to be healthier and be the best person I can be. And that is subjective according to who you are and where you are in life. We all can't be the same size or fit this cookie cutter version of who we should be at our height and age. That's impossible. 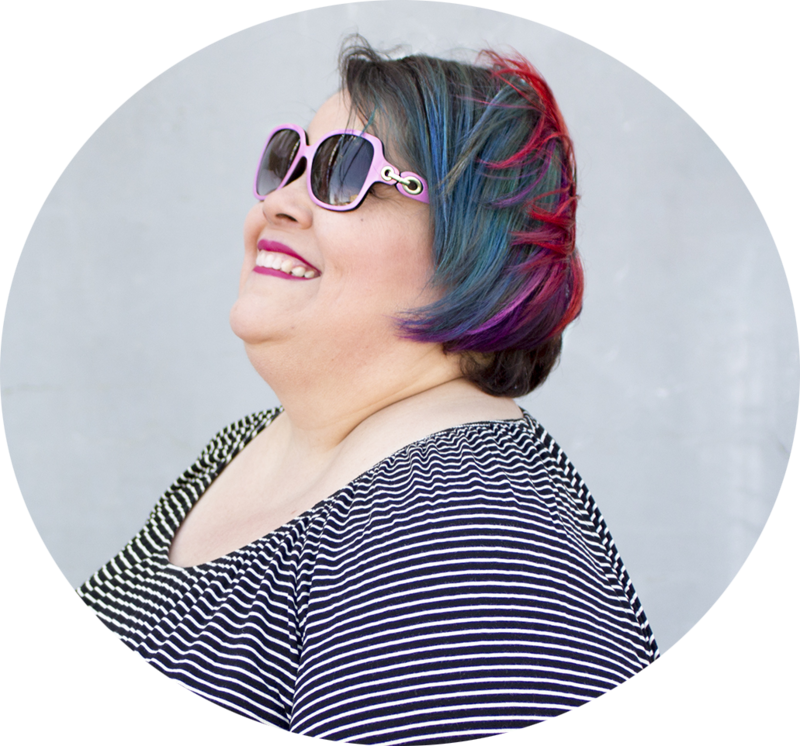 My transformation began with the first step of getting a pixie hair cut, which made me see a glimmer of beauty that made me yearn to see more. You can read more here. So I peeled the layers off, literally and figuratively. I don't wear shrugs anymore. I don't wear long tops anymore to cover my thighs. I actually wear my size now. These things took time but it was worth it. One of the best things you can do for yourself is invest in YOU. Building any kind of relationship takes time and the one you have with yourself is the most important one. So wherever you're at in your journey, I hope you will reflect, be honest with yourself and truly work on you. Work on seeing your beauty and worth. Believe in yourself and know that you can do anything you set your mind to. Happiness lies within you -- you just have to allow yourself to feel it. It amazes me at times how, for instance, I can wear sleeveless styles and while I used to think the world was staring, in reality, no one is. And that one person who does have something to say, is not worth me giving that person time and energy to affect me. I used to make that one person seem like a million and let it limit me from truly feeling free. And I refuse to go back to that place. So I keep rewriting history and living my life one day at a time. Where are you at in your journey of loving yourself? Comment below and let me know. Or feel free to email me at marcyc19@gmail.com if you don't want to disclose it publicly. Why should we wait to dress Fabulously and Feel Good . . . Yes, I live in the now and refuse to be Invisible regardless of the number on the scale. I love the blue dress on You & you knew you look darn good in it. Happy 2018 to you!